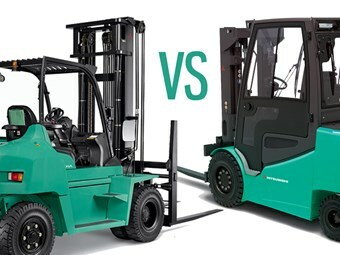 Forklift buyer’s guide: electric or IC engine? Whether you're looking for your first forklift truck or looking to replace an existing truck, choosing the right type can be daunting, writes the team at Mitsubishi Forklift Trucks. What will help, though, is this easy-to-follow guide on whether an electric or an internal combustion (IC) engine forklift best serves your purpose. 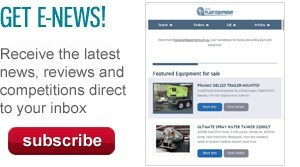 Forklift Buyer's Guide - IC or electric? When deciding between an electric and an IC machine, the key question — which itself raises many more questions — is your application. What do you need your forklift truck to do throughout its working day? Does your current truck meet all your requirements or have there been changes to your application? Will it work indoors, and, if so, is that all the time? If the forklift will also work outdoors, then for how long each day? Conversely, if the truck will work outdoors for most of the day, will you still need to use it indoors some of the time, and, if so, for how long? What are the floor conditions like inside and outside? Do you have smooth floors, uneven floors or potholes? Are the floor conditions dry? Or are they wet at any time? Will the truck have to climb any gradients? If so, how steep are they and how many times a day will the truck have to climb them? How many hours will the truck work? How much of that time will be spent lifting, compared to driving? What type of load will you be handling? What are the dimensions of the load and how will it be picked up — by forks or an attachment? Will the load be handled from either side? Will the truck work in racking, and, if so, what is the minimum aisle width? You need to measure both racking to racking and pallet face to pallet face, and use whichever measurement is narrowest. What is the maximum weight you will be lifting, and to what height? What is the top beam height? If you will be block-stacking, which way will you stack the pallets? Remember if the forklift is wider than your load you'll need to leave clearance for it— and this means you will not be making the best use of the available storage area. Will there be pedestrians or people working in the same area as the truck? Will goods be coming in and out each day? How will those goods be transported? How will the vehicles be loaded and unloaded — from the side drive, from a loading dock or by driving up a loading ramp? How many times a day will this happen? Armed with this valuable information on the best type of forklift for your application and business, contact an experienced and helpful local forklift dealer. Drawing on their expertise, you can refine your requirements and identify the best vehicle to help your business meet its needs and goals. Click here to find Misubishi forklifts for sale. Click here to compare forklift specifications.